Every three weeks I take the kids to the library to pick out new books. I typically hang out with them in the kids' section and to my surprise, there was a book that caught my eye - for me. Since I love hosting parties AND helping others, this PhilanthroParties book, by Lulu Cerone, struck a deep chord with me. It helped me realize how easily we can turn an event we're already planning into one with a purpose. Over the summer, there were several events I was planning to host anyways so I took the inspiration from this book and ran with it. Soon after finishing the book, we also watched the movie Look to the Sky, by Brett Culp, which inspired us, even more, to create these H.E.R.O.ic events. Here's a little Facebook Live video we made about the movie, it's impact on us and the event we hosted. We've hosted four events so far. Here's how we did it and how you can, too! #1. Ladies night "Potluck with a Purpose"
Need a ladies night? Yes, please. Host a gathering with your girlfriends. PIck a cause that connects with your group or one that you want to raise awareness for. Send out invitations and ask everyone to bring a dish/drink to share + a donation to toward the cause. Sit back, enjoy, learn and feel good about helping your community. Are the kids' asking for a play date with their friends? Always. Host a gathering at a local park. PIck a cause that connects with your group or one that you want to raise awareness for that can easily be done with kids. We chose to make blessing socks for our local homeless. Send out invitations and ask everyone to make a donation toward toiletries and essentials to fill the socks or money toward buying socks. Here's a full tutorial on how to make blessing socks and what to include inside. Sit back and enjoy while the kids play while teaching them about the impact they are making on their community. For added fun, suggest bringing a picnic to the park. Check out these little superhero’s! ⚡️ 💥We had a blast connecting with our kids and our community this morning. We talked about what it means to be homeless, what resources we have to help, and how we can give encouragement and hope to a complete stranger. And yes, the socks were more than half Zoey's size. Are there public spaces your family enjoys like the beach or park? They could likely use a pick up. Host a gathering to keep those spaces clean. Send out invitations and ask everyone to bring supplies like trash bags, gloves, hand sanitizer or cash donation to cover these expenses if you don't already have them handy. 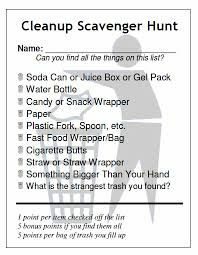 I printed out a liter scavenger hunt for the kids to make it interesting. Sit back and enjoy while the kids play while teaching them about the impact they are making on their community. For added fun, suggest bringing a picnic to enjoy together. I thought today would be a typical beach day for us, plus picking up some trash along the way. 🌊 ☀️I had no idea what an impact it would have on me and the kids. ❤️ As I talked to them about our impact on the ocean and their ability to help the sea, the animals and planet as a whole 🌏 - I could see it click in their minds. They saw all the litter 🍴 👟 that we typically walk right by and picked it up, until their bag was completely full. They realized that if we didn’t do that, all those things would have ended up in the ocean. Their tiny little hands doing this simple act had the potential of saving livthe es of sea animals 🐢 🐠 today. Not shown on this highlight reel was their disappointment that no friends joined us today. For a split second, I almost cancelled the event out of sheer disappointment in myself, but I made a promise to my kids and to myself that I would do this. So I put in the hard work and I made it the best day possible. 💪 A day we played, laughed, explored, and made an impact. I know many of you wanted to come, but couldn’t. I hope this helps you realize that you don’t need an organized event to do this yourselves. I encourage you to do this on your next trip to the beach with your family. If you do, please share it with me. That would make my day! #4: "Potluck with a Purpose"
Are you overdue for a gathering with your family/friends/neighbors? Yes! During our recent trip to Virginia and Washington D.C. for 4th of July, I hosted a Potluck with a Purpose event for my family and friends. Host a potluck with a purpose. Sit back and catch up with family/friends/neighbors while feeling good about making a positive impact on your community. Don't forget to share what you're doing with the kids so they understand and appreciate the purpose of the event. I am so proud of everyone who came together to make these events happen. I'm amazed at the impact we can make when we work together. I hope this encourages you to turn some events you're already planning into one with meaning to help your community in need and become real-life super heros. Look at it as an opportunity for you to "hang out" AND "help out". As always, I love hearing your thoughts, questions and feedback so leave a comment below!